From the outset the narration harkens back to Joseph Conrad’s description of the Belgian Congo in Heart of Darkness. Liberia is an unnamed African backdrop of savagery, calamity and doom, while Firestone and its American workers, like Kurtz in Conrad’s book, are presumed innocent until they encounter ‘the horror’. Furthermore, the film’s title, ‘Firestone and the Warlord’, frames Firestone as a larger than life icon, juxtaposing it with an unnamed bogeyman, Charles Taylor, the counterrevolutionary-turned-president of Liberia. For the first eight minutes of the film, we are bombarded with an often distorted and caricatured interpretation of Liberia’s history by white male diplomats, journalists, and former Firestone managers. We do not hear from two of Liberia’s pre-eminent statesmen and scholars, Dr. D. Elwood Dunn and Dr. Amos Sawyer, until much later in the film and their contributions are disproportionately clipped into short sound bites. It sets the tone of the film early on as primarily concerned with the perspectives of non-Liberians. In an attempt to make the narrative palatable to a decidedly uninformed American audience, the film vilifies Taylor while portraying Firestone as somehow morally superior. It remains surprising that the film’s title was not ‘Charles Taylor and the Rubber Company’ since the gratuitous war imagery employed to demonise the former Liberian president makes him the central feature of the documentary. Never directly interviewed, Taylor is constantly referenced with accompanying video footage spanning his years in combat to his trial in The Hague for war crimes committed during Sierra Leone’s 10-year armed conflict. Although the film is sprinkled with important Liberian interviewee accounts that expose Firestone’s complicity in fomenting the country’s first war from 1989 to 1997, it primarily paints the rubber company as a coerced victim of Taylor’s brutality. “When evil is given an opportunity to reign freely, these things occur and we experience them”, says former Firestone accountant Steve Raimo, who reduces Liberia’s conflict to “tribal warfare”. His former colleague Ken Gerhart continues with a sinister smile on his face, almost mockingly: “Well, if they were the right tribe, they survived. If they weren’t, they didn’t.” Missing from their skewed analysis of Liberia’s armed insurgency is the shifting geo-politics of the Cold War, the country’s rising inequality and politicisation of identity, and America’s alleged complicity in Charles Taylor’s mysterious jailbreak from a US prison. In diminishing Liberia’s conflict to the irrational machinations of African ‘tribes’, the film appears less concerned about Firestone’s criminal business practices and more obsessed with Taylor’s warmongering. This is a tired trope that lacks any originality. Contrasting Taylor, Firestone is portrayed as a law-abiding, tax-paying, responsible contributor to formal employment in Liberia. Yet deeply troubling is the almost deliberate erasure of the company’s abysmal record of gross human rights, labour rights, and environmental rights abuses. Less than ten years ago, the company’s workers would carry on their bare shoulders iron poles with two buckets attached on each end, filled with raw latex they had manually squeezed out of rubber trees. These 21st century rubber tappers resembled forcefully conscripted labour in the 1920s, when Firestone first started operations in Liberia under a severely flawed 99-year lease agreement. The film’s narrator argues that Liberia “offered Firestone” in 1926 a chance to develop one million acres of rubber at six cents per acre and that it was a “mutually beneficial arrangement.” For whom, one wonders. There is no mention that Liberia had been coerced into accepting the terms and conditions of the agreement as a pre-condition for a US$5 million loan from the Finance Corporation of America, sponsored by Firestone Tire and Rubber Company, at an interest rate of 7 percent. There is also no indication that those inhabiting the concession area were uprooted and forcefully conscripted to work for Firestone as rubber tappers under slave-like working conditions that persist today. Throughout the film, the Firestone plantation pre-1989 is painted as a haven, a place of bliss and tranquillity for the mostly Liberian labour force. Yet while the film exposes the undeserved ‘good life’ of the company’s American and European expatriate managers—whose past times include golf on well-manicured lawns and clubhouse drinking parties—its framing of the miserable living conditions and low wages of Firestone’s Liberian employees is generally glossed over as a facet of plantation life because the company provided health and education services as well as parboiled American rice. Rather than protecting its ‘treasured’ workers during the early part of Liberia’s armed conflict, however, the company shuts down and its foreign staff leave the country in 1992. Shortly thereafter, they return to do business, but must first contend with Taylor. In a twist of irony, the film shows footage of Taylor scolding Firestone’s foreign senior staff for their negligence: “There’s a little war, and you leave…there’s no water, no food…It’s inexcusable, I don’t think Firestone should do such a thing.” Accusing Firestone management of abandoning plantation workers, Taylor demands to know how the company will make amends. Edwin Cisco, president of the Firestone Workers’ Union, argues in the documentary that the company’s motivations for working with Taylor boiled down to “profit, profit, and profit.” Yet, while the film harps on the fact that Firestone paid Taylor US$2.3 million dollars in ‘taxes’ and Firestone spent US$35.3 million on the plantation and its workers between June 1990 and February 1993, the unspoken elephant in the room is how much profit Firestone actually made during this period in rubber sales. The film also reminds us that Taylor allegedly siphoned off US$280 million to US$3 billion from the spoils of war, yet the same level of detail is not paid to Firestone’s revenue stream. One former senior manager of the company corroborates its true motivations, saying unabashedly, “Firestone’s intent has always been to make money. It always has and it always will be. We’re in the business to make money.” How much money, we are left wondering, since Firestone’s profits are unpublished. Although the film is meant to be an expose, it neither pursues this money trail nor questions why the information is concealed. As one US diplomat argues at the end of the documentary, “Firestone has blood on its hands” because it resumed operations in the midst of Liberia’s armed conflict. Yet, Firestone had ‘blood on its hands’ long before making its deal with the proverbial devil, and this too is not captured in the film. For instance, Firestone workers launched strikes in 1961, 1964 and 1975 in response to harsh labour practices, poor working conditions and low salaries. And years after the reprehensible MOU was signed, Firestone and Taylor remained cosy bedfellows. When Firestone workers demonstrated against the company’s arbitrary decision in 1997 to deduct 38 percent of their monthly salaries to replace money that had been allegedly stolen in the company’s safe deposit box during the first Liberian armed conflict, then president Taylor unleashed his security personnel to indiscriminately attack 7,000 unarmed demonstrators thereby muzzling dissent. In the film, Cohen and other diplomats eschew Taylor for being ‘venal’ and ‘unsavoury’, yet they do not once interrogate Firestone’s unsavoury labour practices. The film completely misses the fact that backlash against Firestone crystallised in a transnational campaign, Stop Firestone, spearheaded in 2005 by Liberians abroad, their counterparts in Liberia and an international coalition, to hold the corporation accountable. The campaign was largely based on a groundbreaking report by the Liberian NGO Save My Future Foundation (SAMFU), entitled, “Firestone: The Mark of Modern Slavery.” SAMFU representatives and Emira Woods, a US foreign policy expert and Liberian native, were neither consulted nor interviewed in the film. Also glaringly missing is that in November 2005, 35 Liberian plaintiffs filed a class action suit in a US court alleging that Bridgestone Corporation and Bridgestone North American Tire, the parent company of Firestone Liberia, had violated labour laws by using children to tap raw latex, inflicted unusual and cruel labour practices by instituting unrealistic daily quotas for tree tappers, and degraded the environment by deliberately dumping toxic substances in the plantation’s only water source, the Farmington River. As legal representatives of the plaintiffs, the International Labour Rights Forum invoked the Alien Torts Claim Act, under which US companies can be held liable for human rights abuses committed abroad. Although the plaintiffs lost the case in 2011, their decision to challenge Firestone in a court of law was unprecedented for Liberia. Yet the film’s producers do not interview Alfred Brownell, the Liberian lead attorney on the case. Instead, Padmore argues fiercely: “They [Firestone] did the right thing, they did not try to exploit the country…They did not pay off warlords or give money under the table. They didn’t do any of those things. They did the right thing.” Padmore’s responses almost seem orchestrated, like ProPublica and Frontline went out of their way to find a Liberian to somehow substantiate Firestone’s innocence. Padmore says that the decisions Firestone made were “completely justifiable…Had they not taken those decisions, Liberia would be much the worse for it today.” Despite Padmore’s staunch defence, however, there is an implicit recognition that Firestone should be among those who bear the greatest responsibility for Liberia’s armed conflict though no one has been formally prosecuted in this regard. Rather than climaxing with a fitting critique of Firestone’s criminality, the closing narration of the film reframes the company as largely exempt from culpability because it has “invested more than US$146 million to improve conditions on the plantation in Liberia and remains the country’s largest private employer.” The irony is that Firestone has not built a single processing plant in its almost 100 years of operation. On the world’s largest industrial rubber plantation with a sprawling 118,990 acres, the company could not produce one latex glove in Liberia to shield healthcare workers from contagion in the country’s latest Ebola outbreak. If that’s not cause for reparations and a criminal investigation, I don’t know what is. 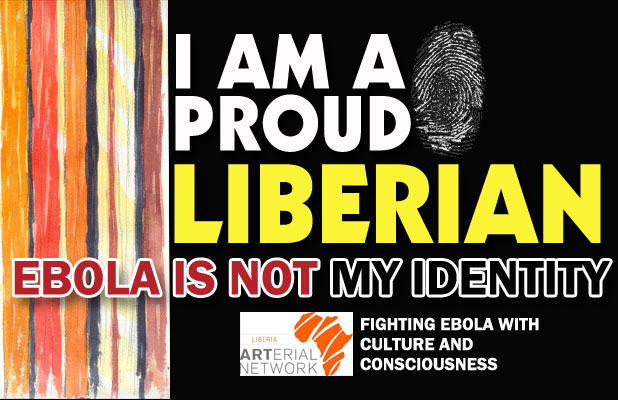 Robtel Neajai Pailey is a Liberian academic, activist and author based at SOAS, University of London. She wrote the essay, “Slavery Ain’t Dead, It’s Manufactured in Liberia’s Rubber”, published in the 2007 Fahamu Trust book, From the Slave Trade to ‘Free’ Trade: How Trade Undermines Democracy and Justice in Africa. Posted in Media, Perspectives, Photo Journal, Sound Reporting and tagged Charles Taylor, Firestone, Liberia, Robtel Nejai Pailey. Bookmark the permalink.